In an ideal world (i.e., when our skin is absolutely healthy and we are under the age of 30), our skin naturally sheds dried out, dead skin cells every 28 days. They start their journey from the lowest layer of the Epidermis (known as the Basal Layer) as healthy, living skin cells, making their way up to the surface over four weeks while doing their thing, until they die and slough off naturally. This natural process is called cell turnover. The problem is that as we age, this process starts to slow down and takes a lot longer. Also if our skin is not healthy in some way, then natural exfoliation isn’t efficient. Dry, dead skin cells start clumping unevenly on the skin’s surface, leading to dry and even flaky patches, and a dull lacklustre appearance. Why do we need to exfoliate? We encourage the Basal Layer to produce more young, plump cells more regularly, encouraging the 28 day turnover cycle to continue. We help restore the skin’s natural radiance, smoothness and healthy appearance and the texture of pores appear more fine. It helps unclog blocked pores that can become blackheads or acne. A big plus is that exfoliation makes your skin care more efficient. Instead of your moisturiser or treatment product (from acne treatment to anti-ageing serum) being blocked or absorbed by the dead skin cells, it is able to penetrate into the skin more effectively. By exfoliating with a combination of home treatments and in clinic procedures, we also force the skin into the habit of faster cell turnover. The sooner we start clearing the dead skin cells, the more rejuvenated the skin will be, ultimately slowing down the ageing process. Unless you have a serious skin condition such as eczema, for example, everyone should exfoliate. But how you exfoliate and the type of exfoliator you choose is very important. First understand the difference between a manual and chemical exfoliation. Manual exfoliation is physical sloughing off of skin cells with a scrub, washcloth or brush. 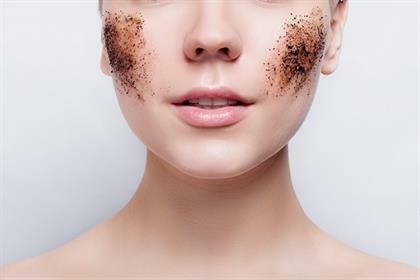 A physical scrub has a rough texture due to pieces of grit (fine nut shells or synthetic microbeads), which remove the dead cells as you manually rub it on your skin. 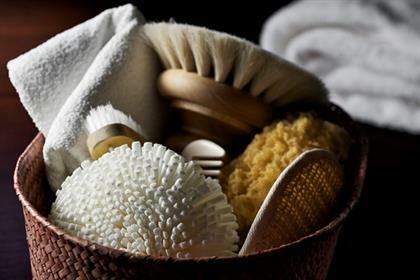 Professionals prefer to use these on the body rather than the face, because they can be rough and scratch the skin. Microbeads are also under scrutiny for their environmental unfriendliness and are being reformulated to be biodegradable. Chemical exfoliators are preferred as these dissolve the “glue” that holds the dead cell to the surface of the skin. Depending on the chemical used – fruit acids, salicylic acid, enzymes from papaya, pineapple and pumpkin, etc., this is your exfoliator of choice for all skins, even sensitive and acne-prone skin. If in doubt, do a test exfoliation on a small patch of skin on your inner arm to gauge your tolerance. Better still, seek professional advice about the medical products most suited to your particular skin type and condition, when and how often to exfoliate at home, with the prescription of the correct products. Using the correct products has an enormous impact on the results achieved. Your aesthetic doctor and skin-care therapist will work out the best programme for your home prescription that will work most effectively with your in-clinic treatments, such as chemical peels, microdermabrasion and dermapen treatments. Dry and dehydrated skin: by making moisturising and nourishing treatments penetrate the skin better, and building a more efficient skin barrier against evaporation. Oily and acne-prone skin: by clearing away dead skin debris that clogs pores and can cause breakouts. Chemical exfoliation with glycolic or salicylic acid is definitely preferred here to avoid breakouts. Sensitive or reactive skins: can benefit from gentle chemical exfoliation with ingredients such as glucosamine, which don’t cause irritation. Definitely don’t use a physical scrub. How often you do it is very important. Too much exfoliation can cause a damaged moisture barrier, resulting in flaking, dehydration, irritation and inflammation. Over-exfoliation may even stimulate melanin activity, causing increased possibility of hyperpigmentation. People with darker skins in particular need to be very careful. So how often should you exfoliate? Be guided by your skin-care professional, but two to three times a week at most for ‘normal’ skin. Mature and sensitive skin should do it once a week, depending on the type of exfoliator used. Daily micro-exfoliators are designed for gentle daily use. However, if you see that your skin is becoming dry, flaky and irritated, give it a rest for a few days, and slowly reintroduce it every three to four days. Or see your skin care specialist. Avoid the delicate eye area unless the treatment specifies it may be used there.